Iron Pine Contracting offers a wide range of commercial and industrial construction services in the Grande Prairie area. 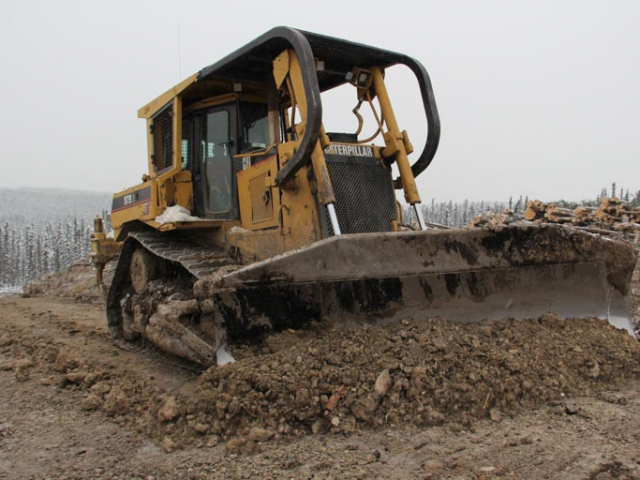 We specialize in road building and commercial lot construction for both the public and private sectors. 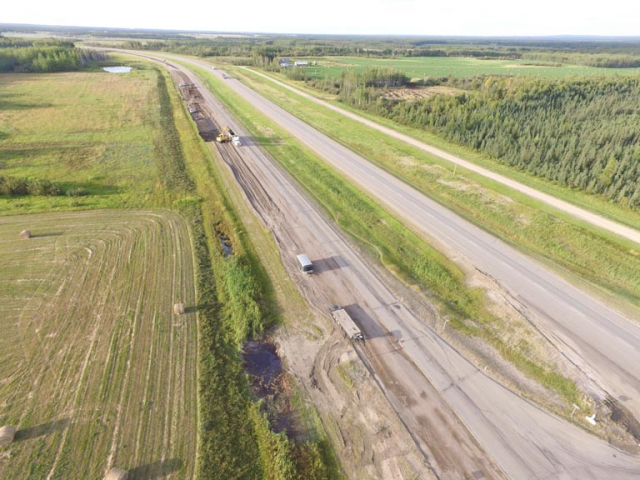 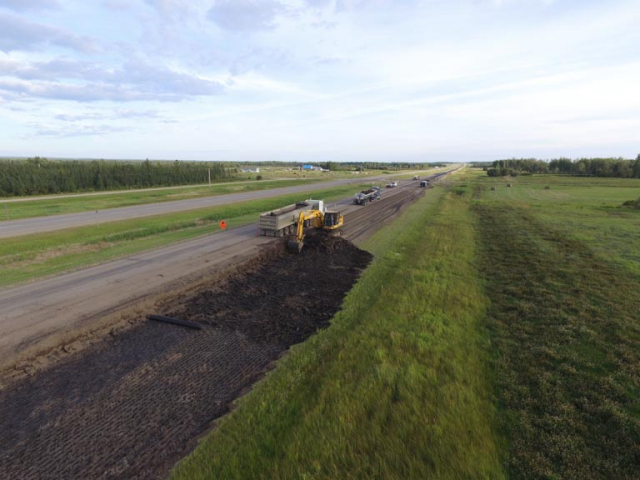 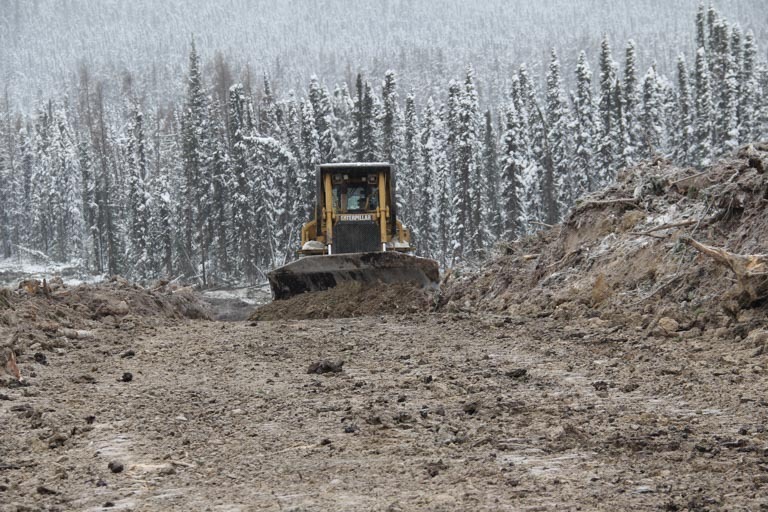 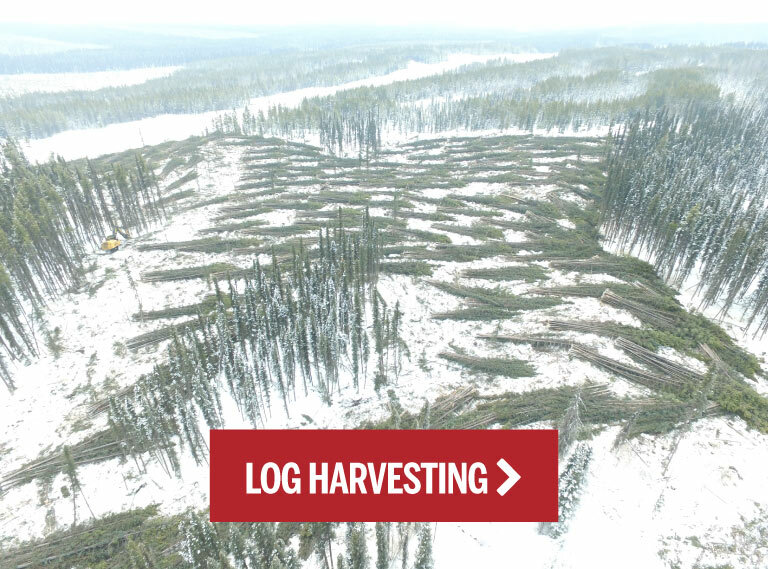 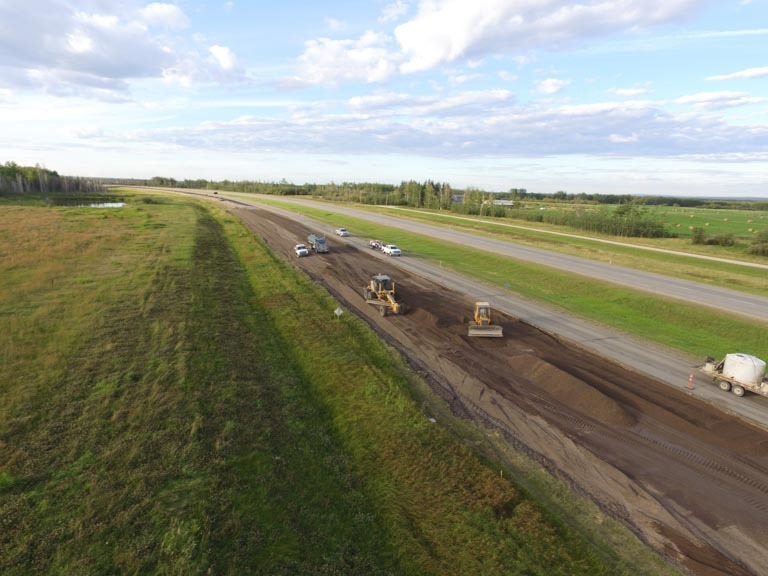 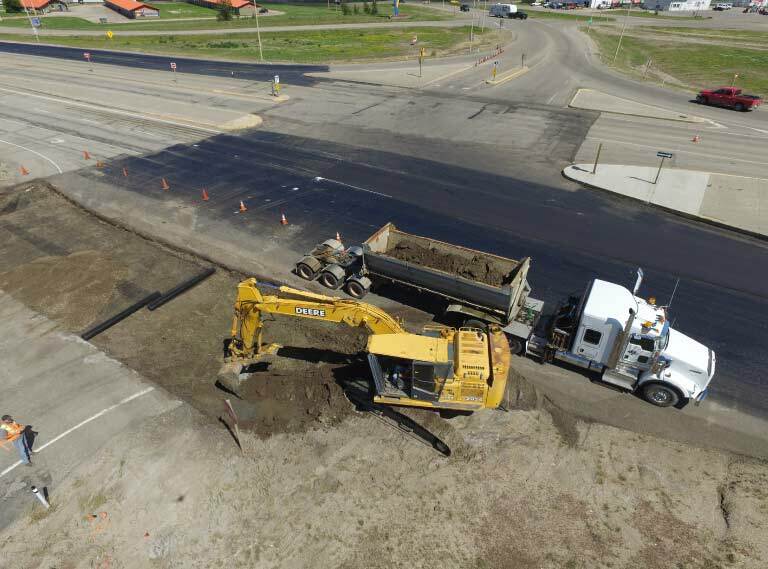 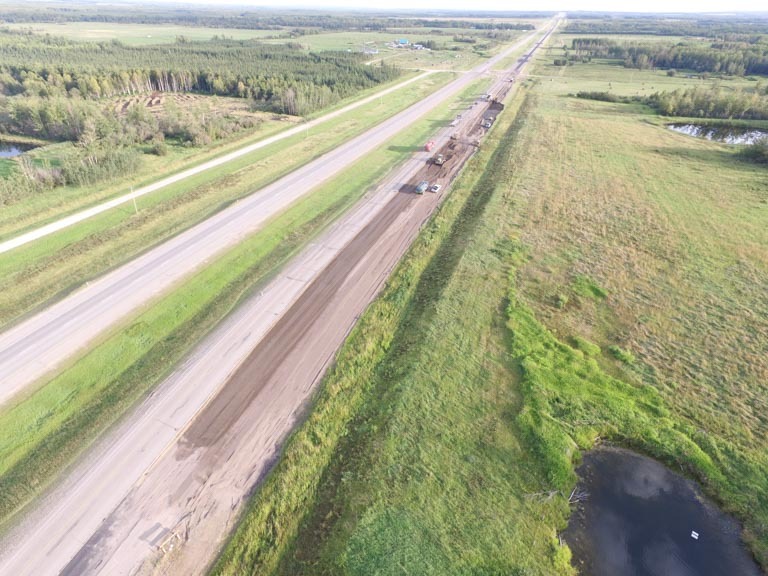 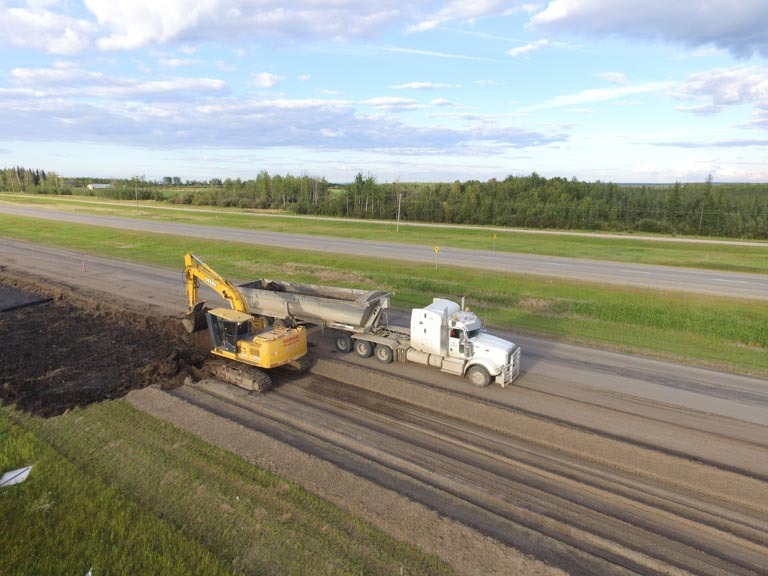 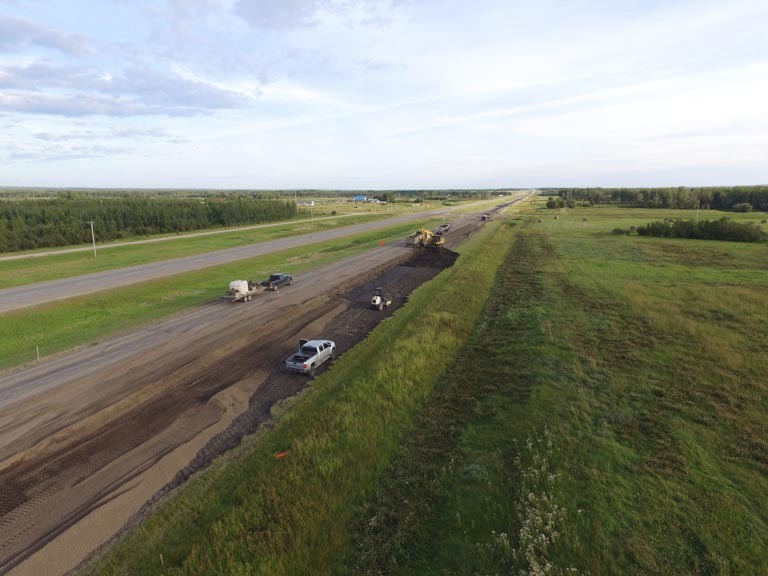 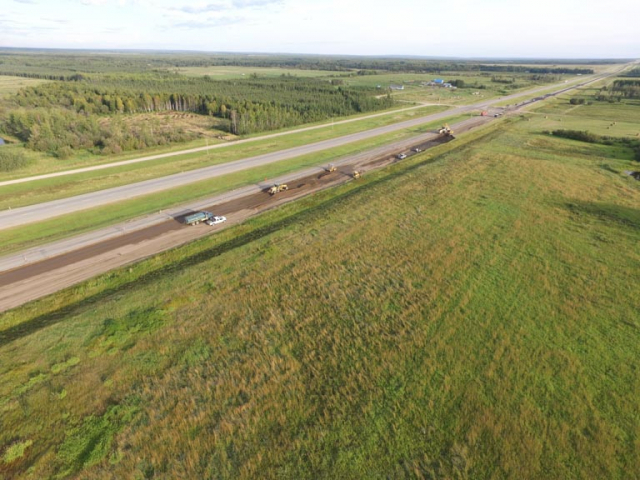 Whether it is connecting a work site to an existing road, clearing a 50-acre section, developing an industrial lot or completing work for Alberta Transportation and local municipalities, Iron Pine will get the job done right and on budget. 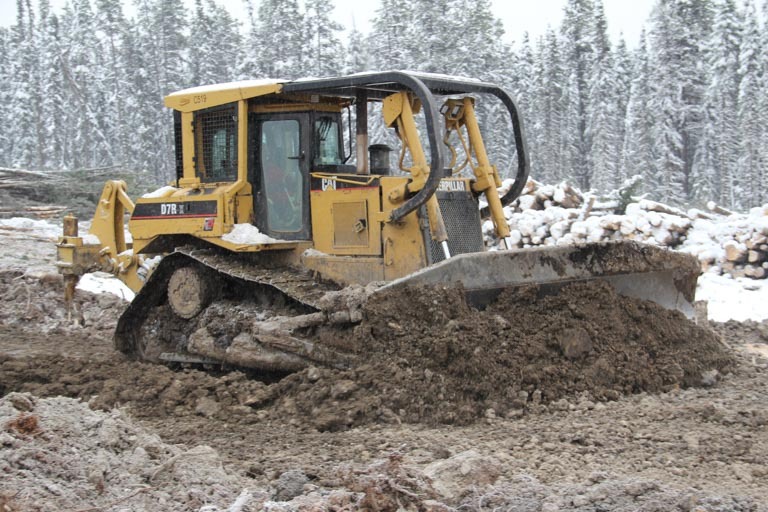 Many civil construction companies rely on outside contractors to clear the right of way, log the worksite and haul the materials. 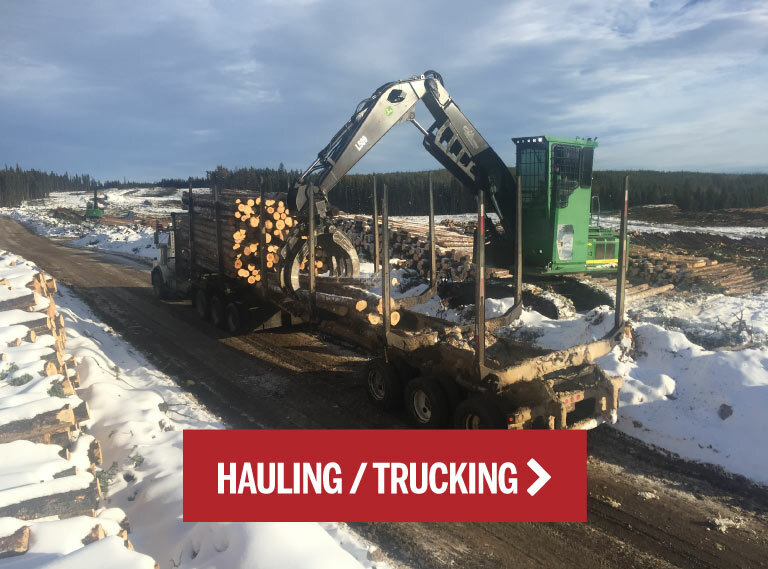 Iron Pine has its own logging equipment and trucking fleet so we can provide all of these services in house, which saves you both time and money. 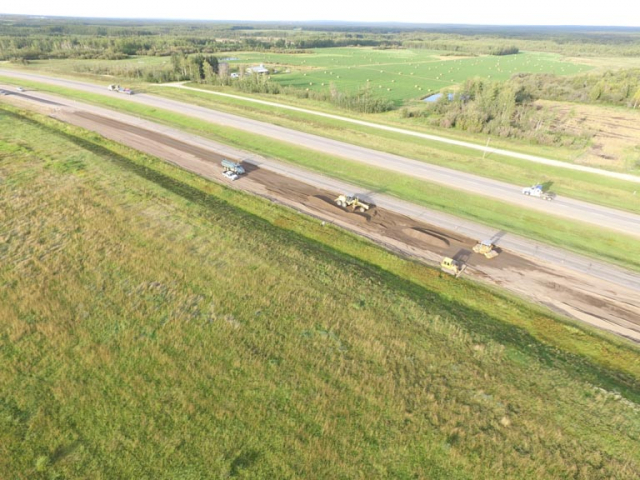 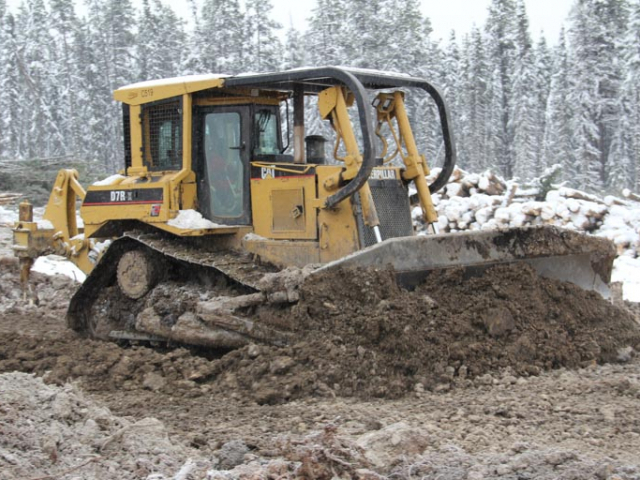 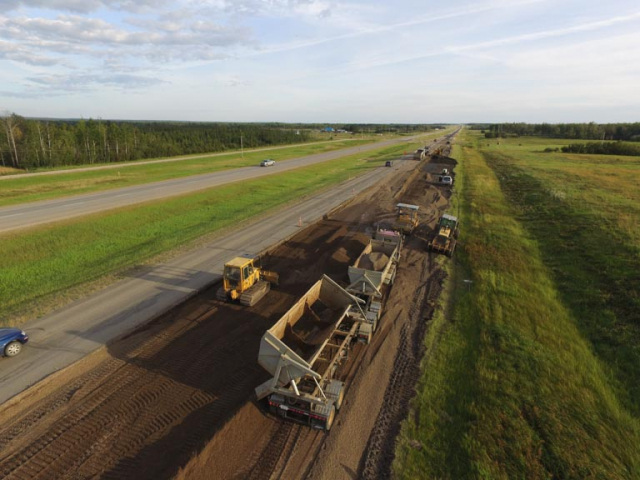 In addition to a fleet of trucks and heavy equipment, including excavators, graders, crawlers and tractors, Iron Pine also uses a Topcon GPS Positioning System to ensure the road or work site is cut exactly to design spec. 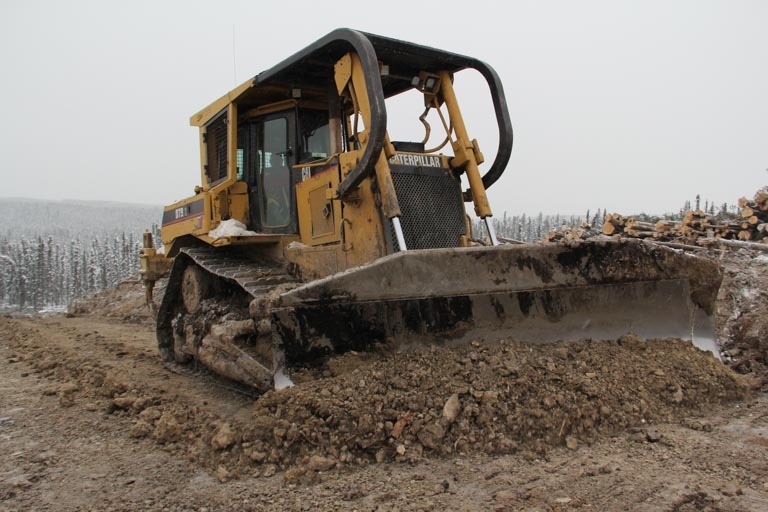 This automatic system operates the equipment with millimeter precision, and features the most advanced civil construction technology in the world. 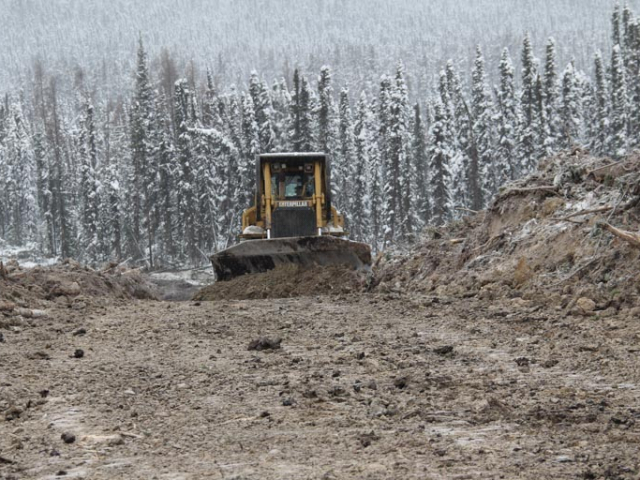 Iron Pine is dedicated to the safety of our employees and the wellbeing of our environment. 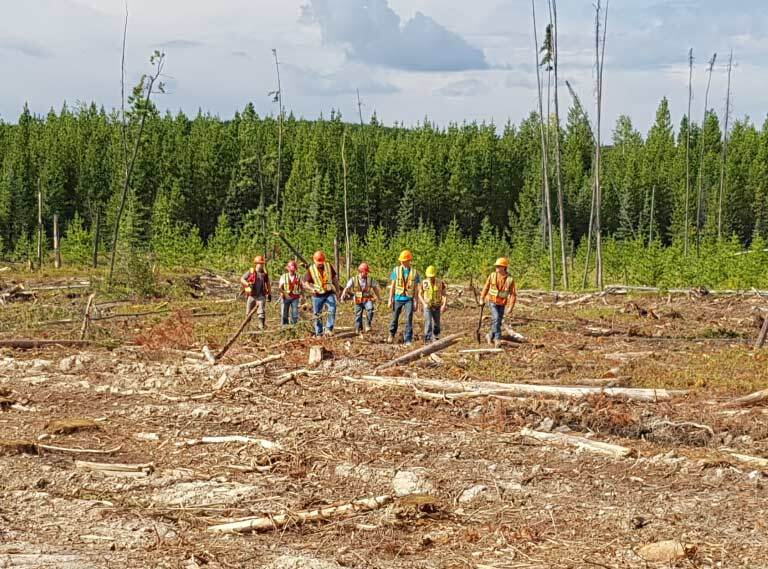 We follow all rules and regulations on site, and pride ourselves in our reputation for workplace safety.